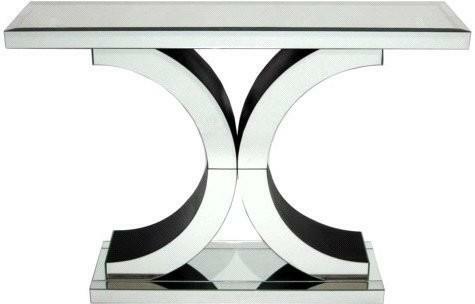 Stylish and definitely made for modern spaces, this Venetian Mirrored Console Table is quite a looker. Designed with a smooth top surface, you can easily place a vase of flowers or a lovely modern lamp on top of it. Supporting the table is a lovely 'X-shaped' stand including a solid base to provide stability. 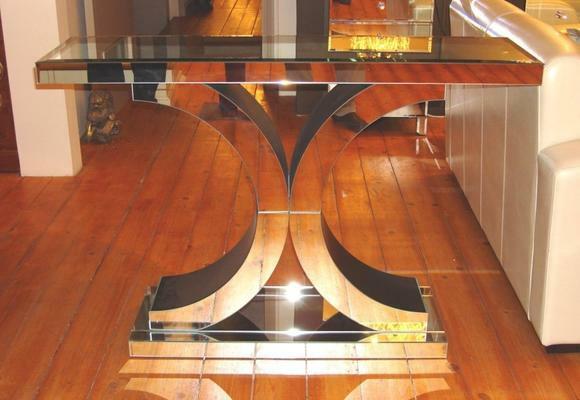 The entire piece is handmade and crafted from high end materials like MDF and clear mirrored glass. This beautiful construction also gives the table its luxurious beauty. 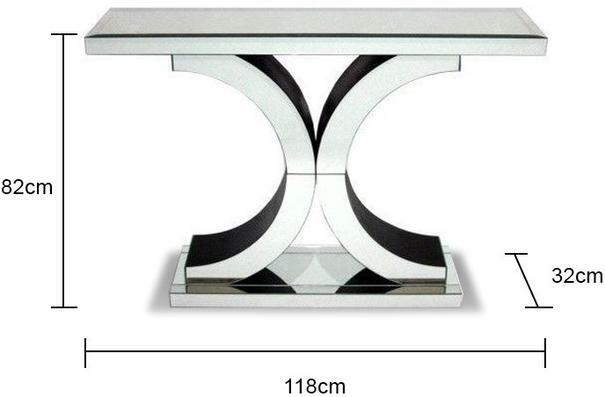 Bevelled edges add to its high end look making it perfect for your living room, a reception space or even a grand space.